The Global Small Business Blog: What Exactly Is Globalization? 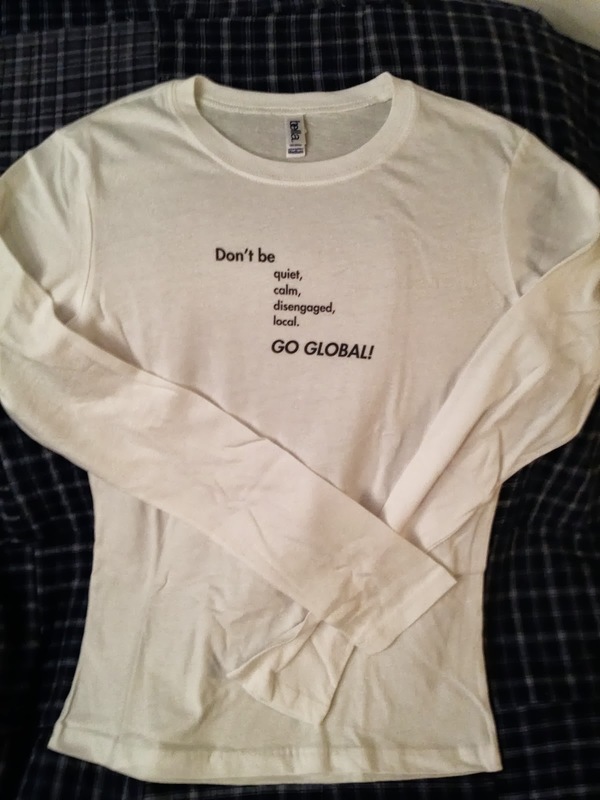 We had The Travels of a T-Shirt in the Global Economy where an economist, Pietra Rivoli, examined the markets, power and the politics of world trade - sorting through and encouraging us to understand how free trade and protection have most certainly changed our world. In the commentary recently published in The Wall Street Journal, The Economics of a $6.75 Shirt, Rubana Huq (managing director of the Mohammadi Group, a garment manufacturer and exporter in Dhaka, Bangladesh. ), provides a detailed analysis of the economics of a $6.75 shirt made in Bangladesh and as it relates to Bangladesh's minimum wage. The recent tragedies at several Bangladeshi garment factories have claimed hundreds of lives—and focused international attention on this important but often overlooked industry. Yet greater scrutiny has not led to greater understanding, raising the prospect that any proposed solutions will have serious unintended consequences for this industry and the four million people it employs. Read the entire commentary here (be sure to read the comments - very telling). Photo courtesy: ©2013 Laurel Delaney. All rights reserved. (Go global t-shirt - made in USA). Is Winning Strategy to Always Go Global? Biggest Overseas Market For Tupperware?